If you have any questions at all about our company, our pricing, our vehicles, or even our service area, you can reach us at any time 24/7! In the mean time, we've listed our most frequently asked questions below! We hope these will answer most of your questions, but you can certainly call us with more if you have them! Can we drink on the buses? Absolutely! They are party buses after all! Our buses have on board coolers for you to stock with your favorite drinks! Keep in mind that you must be of legal drinking age to bring alcohol on board. It's also important to note that we cannot provide alcohol for you, you must bring your own if you plan to drink. Can we smoke on the buses? No, all of our buses are strictly non smoking. Can we rent your buses for more than one day at a time? 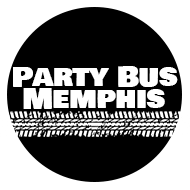 Party Bus Memphis is more than happy to accommodate multi-day trips! It doesn't matter if they are separate trips or if you will require around-the-clock service. We can easily accommodate you and help make your vacation or road trip a big success. Give us a call with all the details of your trip and let us tell you everything we can do for you! Are we allowed to drink and smoke on your party bus vehicles? Yes and no. You are allowed to drink on our buses, and you may bring all your favorites on board including beer, wine, and liquor. Smoking, however, is not allowed on our buses in order to keep our furnishings in "like-new" fresh condition. We appreciate you adhering to our non-smoking policy. Yes, of course! We are great for all children events like birthdays and high school proms. If there are going to be children and those under 21 years of age, there cannot be any alcohol allowed on the vehicles. If there is alcohol found with those under 21 years of age, the service may be terminated. We only need pick up and drop off service, not an entire day of party bus travel. Can you provide that to us? Absolutely! In fact that's one of the best ways to save money when renting a party bus. Just give us a call with your pick up and drop off locations and we can give you a price that's nice! I'd like to know more about your insurance policy. Can I take a look at all your documentation before I hire your services? You are more than welcome to come down to our office to look at the documents in person, or you can call or email us, and we'll email or fax the documents directly to you. Can I cancel the reservation if we don't want to do it anymore? You cannot cancel once you pay your deposit. You will have to pay the full amount, even if you don't use it. You cannot even switch the day of your reservation. When you make your deposit, we are promising you that you will have a vehicle for your event. We are not like other companies that take the highest paying customer and tells everyone else they won't have service. If available, you might be able to upgrade/downgrade your vehicle or move the reservation time earlier/later. Where can I contact you about renting a party bus? You can find our information at the top of every single page of this site, as well as on our contact page. We look forward to hearing from you!